Any recommandations for cheap, but usable printer for rc parts? Wanhao Duplicator i3 or any of the clone variants. I have one from MicroCenter and it's awesome. If you think you can get away with a smaller printer the Monoprice MP Select Mini is the best printer for the money at that size. I own both printers and they're both extremely useful. All printers will need tinkering and calibration so don't expect to buy something and just start pumping out parts. It is a plug and play printer that doesn't require technical setup that would ruin the experience for a beginner. It has high quality prints comparable with $500 units and has a huge following on Facebook that would give you all the help you need. There is a guy on Amazon that did a review on it comparing the prints with his $2700 printer. Of course it is not the same but very close. I'm not being endorsed or anything but I just came across this deal today and am ordering one tonight as well. Hopefully it's still in stock! Nice price, but I'm in europe and the shipping kills the deal for me. The Monoprice Select Mini is probably the best starting printer. The print bed is kind of small at 200mm x 200mm x 200mm, but the quality will blow you away once you get it dialed in. This can be ordered direct from Monoprice as well as lots of other online outlets. I've been looking to get a 3d printer to start playing around with rc parts. this looks like it could fit the bill and the price is hard to beat. now I need to get smart on materials and how to input designs! I just bought a MonoPrice Mini from Amazon for $154 shipped. Couldnt pass it up. Where do you see 200mm? I show 4.7" x 4.7" x 4.7" (120 x 120 x 120 mm) pulled from the link posted. Sorry, you are correct. It's 120mm not 200mm. Sounds like that would be big enough for me to print up things like transfer cases and crossmembers. Just have to convince my wife this is a good Xmas gift for me! I have a FolgerTech 2020 that works good. Printed skid plate, shock towers and a couple other things from thingiverse for my bronco. 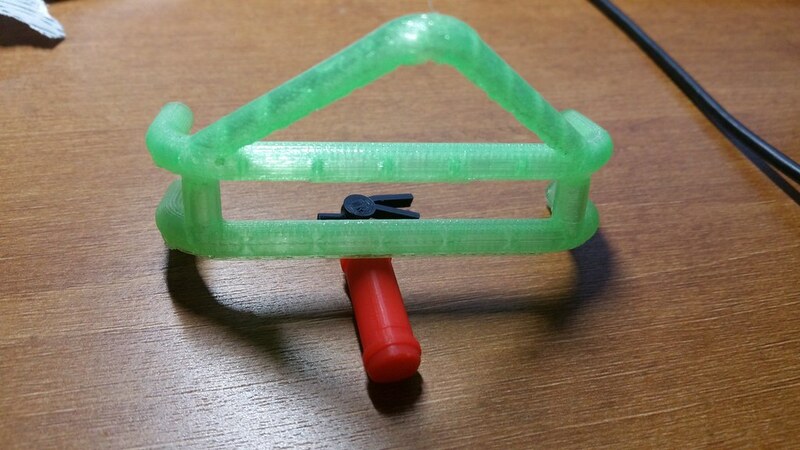 I use cura for slicing and pronterface for printing. It's definitely good for scale accessories. And it's a great starter printer because it's reliable, makes high quality prints if you invest the time to learn the printer, and the price is low so you don't have to invest much just in case you don't like 3D printing. Here are some RC stuff I printed on mine. those look good. I hadn't thought about wheels. 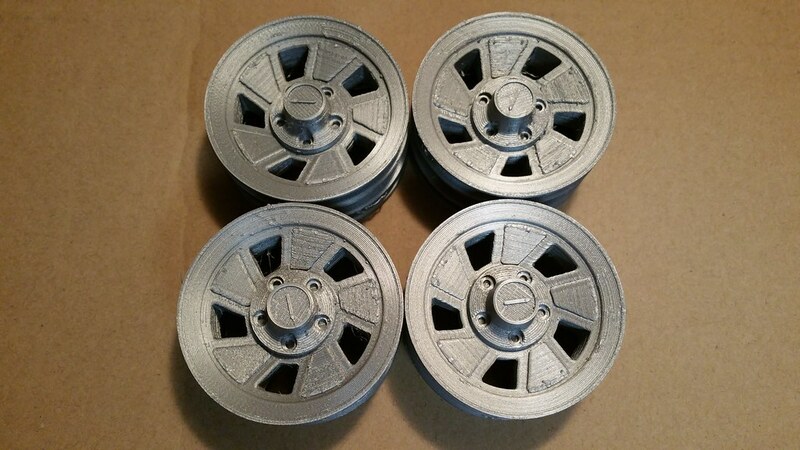 I've been lookin for some 1.9 wheels with a construction theme for some Tonka trucks I've been converting over to rc. this could be the ticket, just print them myself. What filament did you use to print the 1911 scales? 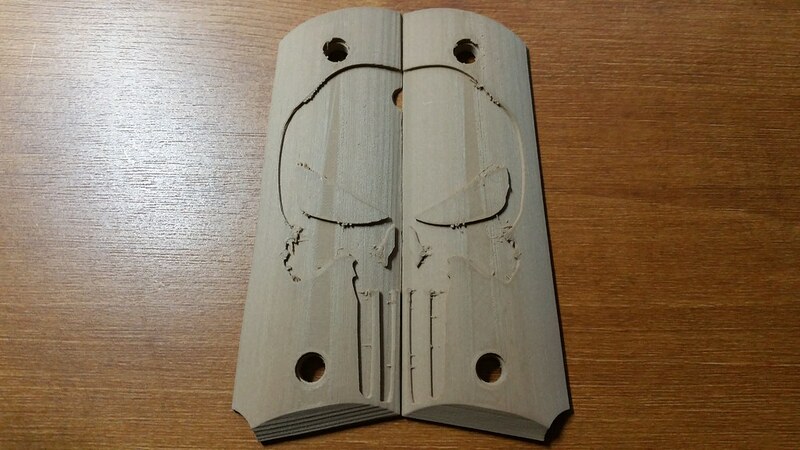 Hatchbox wood filament. It's awesome. 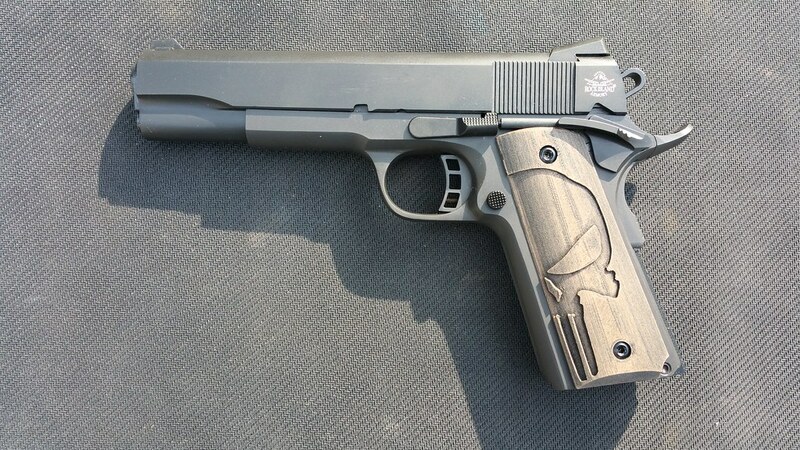 Those 1911 grips look great! Anyway, back on subject, I just picked up a Maker Select V2 from Monoprice for $254 on black Friday. I just got my first couple prints out over the last couple days, and I'm real impressed with the print quality. I'll be printing some parts for my Gen7 shortly. You will want to add the z braze to the maker select. I would also recommend a glass bed and external bed heater FET. I'll have to look into these additions if I get one. Hope they aren't costly.